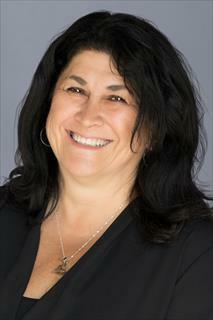 Gloria Acevedo-Schenone has been a REALTOR® for over 31 years. Knowing that this area is one of the best in the country to raise children, Gloria, a native San Franciscan, moved to Sonoma County in 1985. Gloria and her husband of 38 years have three lovely daughters, plus three grandchildren, and another on the way! A former soccer coach, Gloria now enjoys traveling throughout California watching her 14-year-old granddaughter play in softball tournaments during the summer. Committed to her community, Gloria was instrumental in getting AEDs in local schools after her grandson collapsed at school. Without a lifesaving AED in place, her grandson suffered a very close call. Family time is cherished time spent enjoying the wonders of North Bay. From a coastal trip to visit family in Elk/Manchester, to listening to Motown under the stars, or taking the dogs for a neighborhood walk, Gloria revels in the fact that there is so much to explore in Sonoma County. Of course, sometimes you just need to relax at home, and Sonoma County is the place in which to do it. Making people happy and helping them find what they truly want—a place they can call their permanent home—is what drives Gloria’s business. Gloria’s ultimate moment: When a client enters a home and says, “This is it!”. Call Gloria and let her help your real estate dreams come true. Ella habla español.